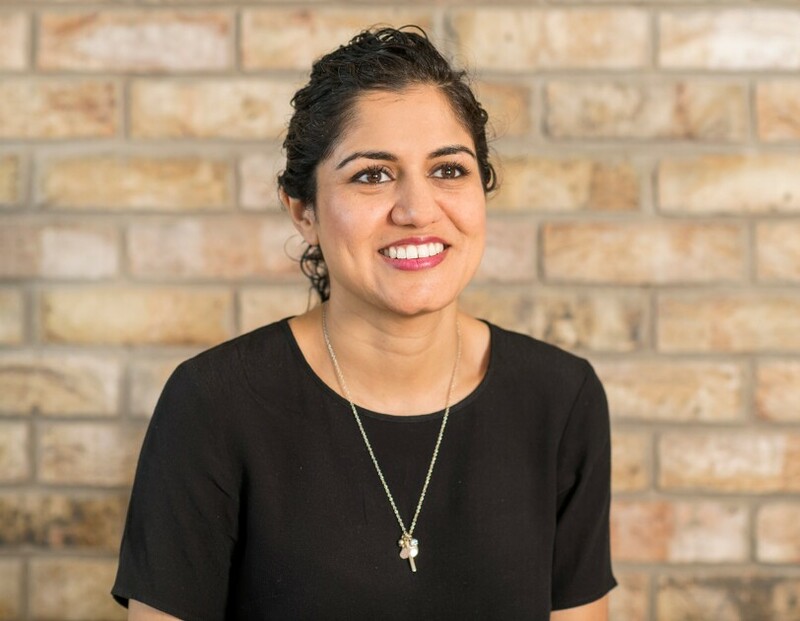 On bold bets, childhood dreams and innovating on behalf of customers: a conversation with Pia Ambardar, Head of Business Development for Dash Europe. She lived in Houston, New York, Los Angeles and Seattle, before moving to London to take on her current role: Pia Ambardar is a woman who doesn’t fear change. In her career she has been an investment banker, an actor and an Amazonian. Today, she is sharing her insights about successful career change, working at Amazon and finding professional fulfilment. Pia Ambardar, Head of Business Development for Dash Europe, brings you five interesting facts about Dash technologies. Pia, you have been at Amazon for six years now. However, the corporate world wasn’t your first choice. What was your dream job as a child? I wanted to be an actor. I really enjoyed performing and making people laugh… somehow I ended up with an engineering degree and an MBA, instead. I made a plan during my senior year of college that I was going to work in finance for a few years, save up all my money, and then go for it as an actor. If it worked out, great. If it didn’t, I would go to business school and figure things out from there. That’s exactly what I did. I worked in finance for three years, then quit and started auditioning and performing in New York. I did mostly theatre, and actually won some awards and had a manager. After a year, I moved to Los Angeles, got an agent and performed in some indie films, commercials, small TV bits. Eventually, after a few years, I decided to execute my back-up plan and go to business school. That was a bold bet. Weren’t you scared of taking the plunge? Less scared and more excited. I had been planning it for years – through my engineering degree in undergrad, through selling derivatives on a trading floor, through taking evening acting classes in downtown Manhattan. I knew acting was my passion, and that I would have a perpetual sense of regret if I never gave it a shot. From the outside, it looked like a nutty decision, but my approach was actually methodical and deliberate. Over three years, I had squirreled away my generous finance bonuses so I had enough money to audition and perform full-time. I gave myself a fixed amount of time to pursue my new career, and I had a back-up strategy in case it didn’t work out. What lessons did you learn from this experience? Acting taught me how to handle rejection - a lot of it. It helped me develop a thick skin, and to keep working towards my goals despite setbacks. I also learned how to listen and be present. A huge part of acting is listening and reacting to your cast mates, not just waiting for your turn to speak. That’s helped me a lot in business – people really appreciate feeling heard and understood. Even though I didn’t make it big, I’m so glad I had that experience and that I was bold enough to make that move. I met amazingly talented people, and nurtured the creative side of myself that until that point had always taken a backseat. I’m a big believer in pursuing what you’re passionate about, and I continue to try to do that in my career at Amazon. I currently manage Business Development for Dash in Europe. When we have a new idea for a product or a service, we often need to develop relationships with external companies to make that device or service more compelling. For example, Fire TV is a great product, but it’s even better with Netflix on it. That’s what Business Development is responsible for – seeking out and developing the relationships that make Amazon devices and services more useful and delightful for customers. Dash refers to the Amazon products and services that simplify replenishment within the home. Dash Buttons are physical, Wi-Fi connected devices that customers place in their homes, allowing them to order products at the press of a button; Dash Replenishment Services, or DRS, is a set of APIs that allow smart appliances and devices to automatically re-order their own supplies. 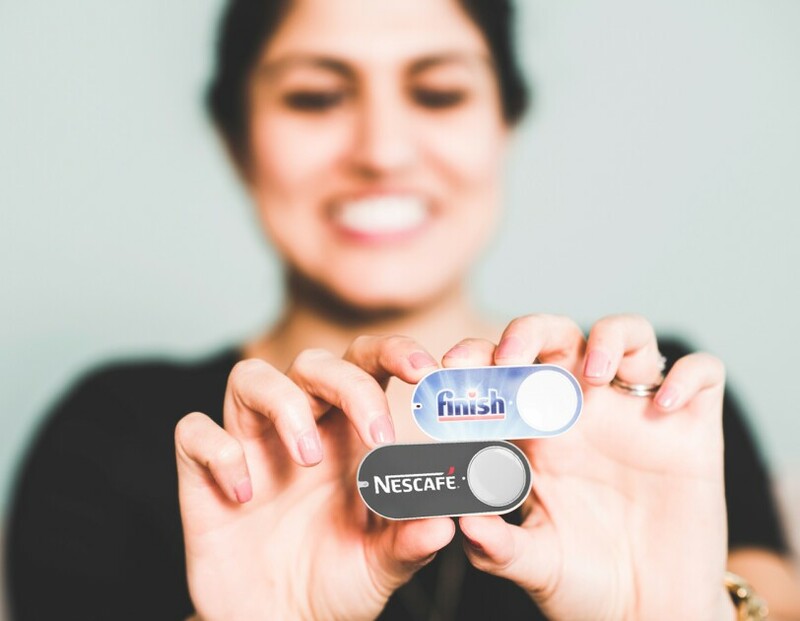 With Dash Buttons, we’re eliminating that painful moment when you’ve run out of daily essentials. 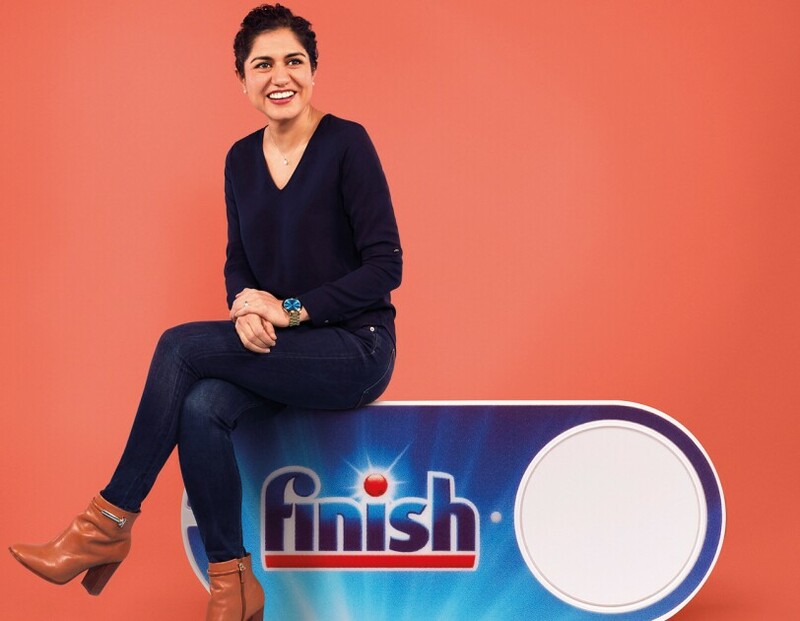 You might have a Dash Button on your washing machine that you press to re-order more of your favourite detergent, or a Dash Button by your fridge that you press to re-order bottled water of your preferred brand. DRS takes things a step further – it enables your washing machine to re-order its own detergent when it’s running low, or enables your printer to re-order its own ink when it needs it. So you don’t have to even think about managing the supplies in your home. I really love working on new, innovative technology that makes a difference in customers’ lives, and bringing it to life by working with some of the biggest companies in the world. As a kid I was always interested in electronics and the latest gadgets. Plus, my mom was a computer scientist who worked for NASA, so I think I inherited her love of technology. I also really enjoy the international aspect of my role. I work with internal teams across the US, UK, Germany, France, Italy, Spain and Luxembourg, and external companies located everywhere from Stockholm to Istanbul. It has been really enlightening to see how different cultures respond to the same technologies and innovations, how they assess problems and formulate solutions. It’s certainly the global experience I was hoping for when I took the role! 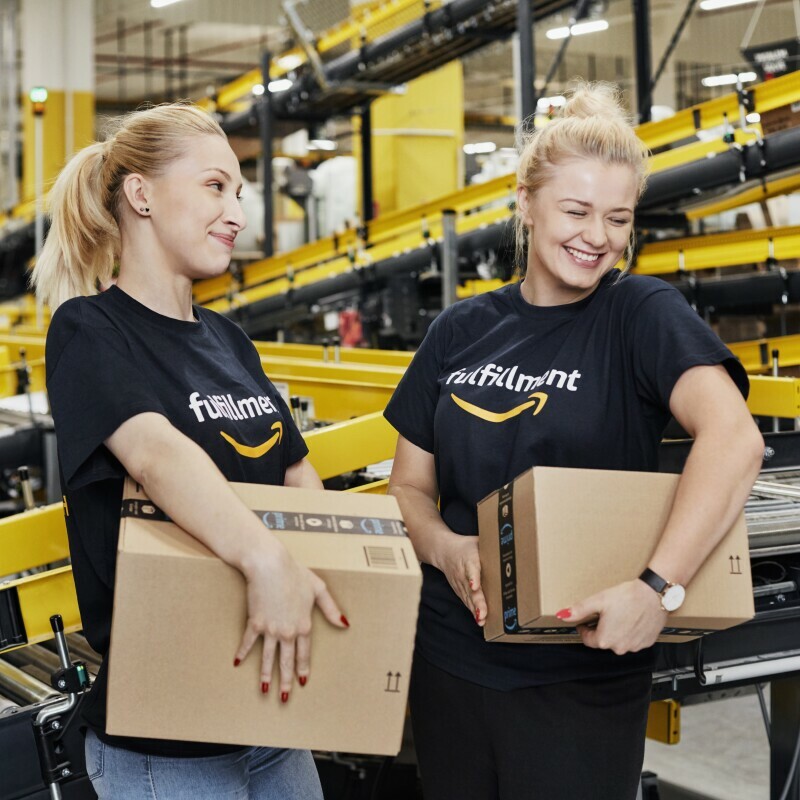 Is there something you particularly like about Amazon’s workplace culture? I like the speed and the straightforward approach. I often joke that I’m not sure I could ever work anywhere else because I’ve become too used to saying what I actually think and not wasting time dressing it up. I’m also terrible at PowerPoint, so I love that we write documents! I also take great satisfaction in getting things done and delivering results. It’s incredibly meaningful to be able to take something from idea to execution, and not have it languish in endless decision-making. That’s a big question! I would say happiness comes first from having loving relationships with family and friends. Beyond that, I think it is some combination of feeling productive but not stressed out, content but not bored, passionate but not aimless. What advice would you give to somebody who wanted to change careers? I think it’s increasingly common for careers to span multiple industries and functions over time. I have found that branching out into new areas is not as scary as it may seem, and that it can improve your career satisfaction and fulfilment. First, you need to set your own standard – define what success means to you, without comparing yourself to others. Doing so frees you from the pressure of trying to live up to other people’s expectations. Then, it’s essential to identify your strengths, and to apply them to new situations to make them stronger, until you turn them into superpowers. Finally, you need to figure out what you are interested in. And remember that people can be interested in many different things at different times in their lives. Once you know, it becomes easier to form links between what you’re good at and what you’re interested in to determine your next steps. Some changes are more drastic, of course, and have nothing to do with your prior professional experiences whatsoever. This is where your personal benchmark becomes critical. If you want to be an entrepreneur, or move to South America to learn Spanish, or start a rock band in your late 30s, make a plan and go do it. If there’s something that’s professionally holding you back from being happy, change it. 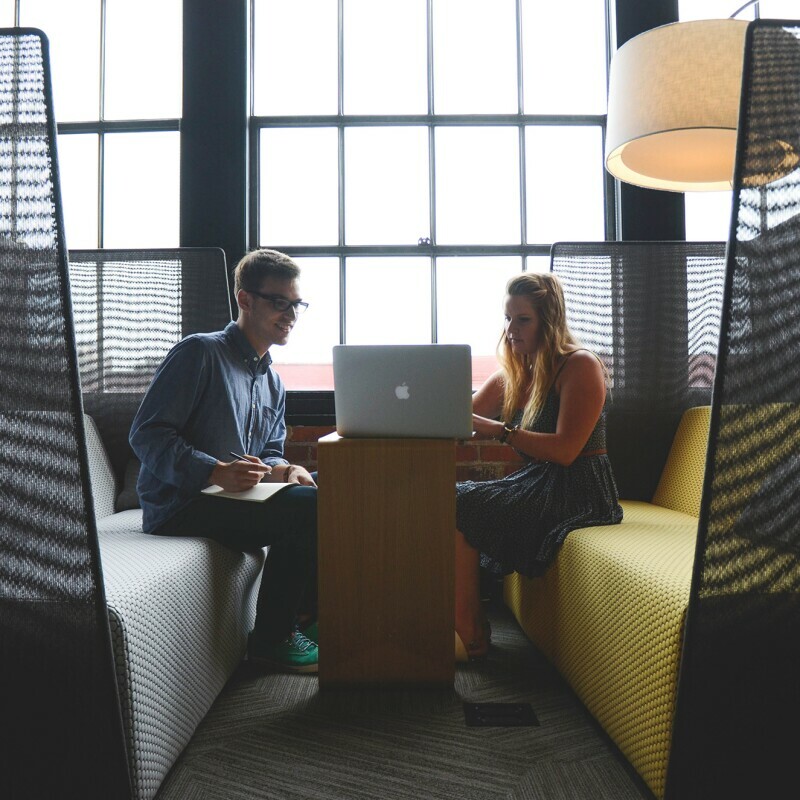 We live in a time where people can move more freely in and out of careers than ever before.